What if we told you there was a place where luxury comes as standard, where quality, comfort and style converge in the most magnificent villa you can imagine, and where you are just steps from the soft, white sand of Anna Maria Island�����s famous shoreline? It sounds like a lot to wish for, but it is all here in View of the Gulf, Anna Maria Vacations��� most spectacular rental property. As the name suggests, there are plenty of opportunities to enjoy far-reaching vistas over the picturesque Gulf of Mexico from many of the rooms inside the house. But as anyone who has been to Anna Maria will tell you, it’s what happens when the sun goes down that brings people here year after year. The sunsets on Anna Maria are breathtaking, filling the sky with a spectacular light show of blues, reds and a myriad golden hues. And you can enjoy nature��s most amazing light show for free from the comfort of your very own rooftop observation deck, reached by a spiral stair from the level below. Hello, and welcome to Anna Maria Vacations. 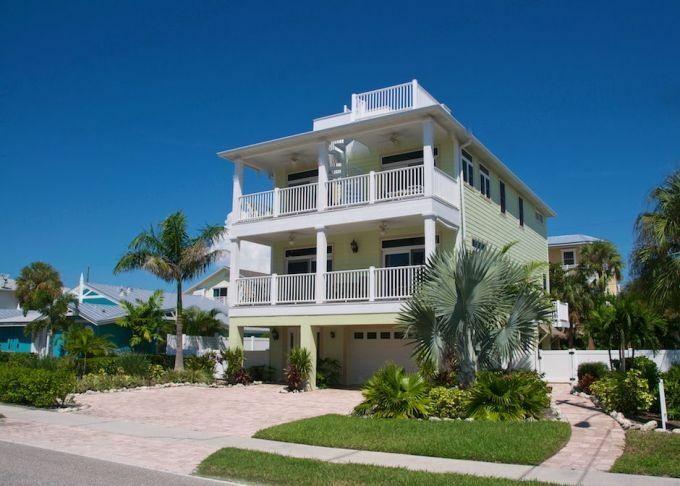 We are truly a unique rental company specializing in only the finest Anna Maria Island Vacation Rentals. Our carefully hand selected properties provide our guests the upscale vacation experience they desire. All properties are diligently maintained on a weekly basis with emphasis put on each unit being kept in peak condition. We have luxury Gulf beachfront homes and beach condos, bay waterfront homes and many exquisite inland homes just a few minutes stroll to the beach. Our staff diligently clean and maintain each property thoroughly in preparation for our next guest. We have recently introduced a Professional Linen Program which many of our properties are participating in. This offers our guest the option of a whole new level of luxury and comfort on their vacation. There are 4 full and 1 half bathroom. Each bathroom features opulent marble, spacious tubs and walk-in shower units, travertine tile work, spacious storage and plenty of quality linens. The bathrooms also feature tile and bamboo floors, and have granite counters throughout. All bathrooms are supplied with freshly laundered towels and will be spotlessly clean upon your arrival. This property has shuffleboard in the backyard, a poolside family room, and it is directly across the street from the beach.